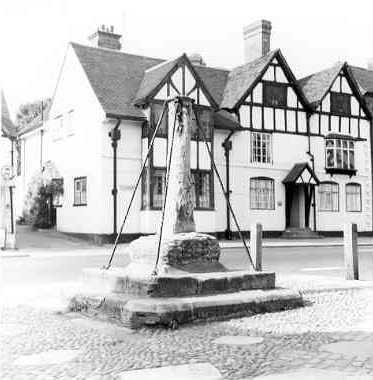 You are here: Home>Locations>Henley-in-Arden>Market Cross in Market Place, Henley in Arden. 1 The base, shaft and capital are composed of 3 separate stones; the shaft being morticed into the base and capital. On the 4 faces of the capital were niches, containing, 1. The Rood; 2. The Trinity; 3. St Peter with his key; the 4th has fallen away. 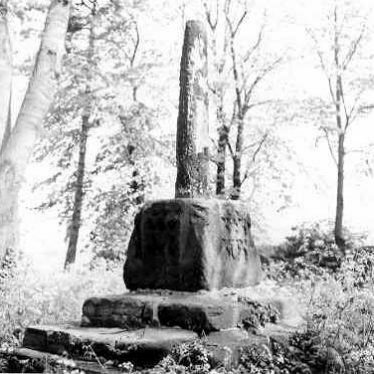 The head of this ‘highly superstitious’ cross is reported to have been preserved from destruction by having been covered by a shed for many years. 2 The empty niche probably once contained the Virgin and child. Towards the end of the last century a heavy iron palisade was erected around the cross for protection and at a later date the shaft was secured with iron supports. New iron railings were set up prior to 1933. 3 Square socket on 2 steps. Octagonal shaft changing to square where it enters the socket stone. 4 The head was in situ in 1863 but had fallen by 1894. The cross has been much restored. 5 The complete shaft, (head missing), octagon base and steps, all considerably weathered. The shaft is supported by iron stays. 7 The iron railings have now been removed, but the iron supports remain. The stone of the shaft is flaking away, but the base is still in fair condition. 10 Letter from the DoE about proposed repairs. 11Monument boundary moved to actual position. Archaeological work revealed the site of a large drain dating to the Imperial period. It was located 500m south west of Beaudesert Mount. The site of Henley Great Park, a deer park dating to the Medieval period and known from documentary evidence. It is believed to have been located 800m south of Botley Hill. Historic hotel situated on the west side of the High street, close to the church. A wall and cellars dating to the Imperial period were found during archaeological work. The site was located on the High Street, Henley in Arden. The site of Christian Archer's Cross, Post Medieval wayside cross, for which there is documentary evidence. The exact location in Tanworth in Arden is unknown. Documentary evidence suggests that this is the site of Warwick Market Cross, which stood on the east side of Market Place. The site of a Medieval cross for which there is documentary evidence from the 13th century. 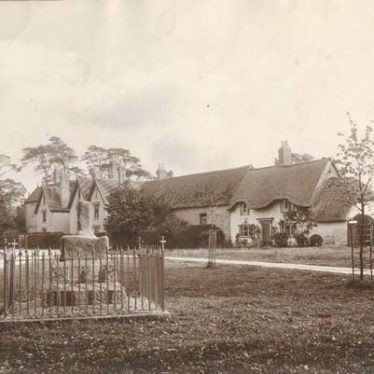 It stood opposite the Guild Chapel, Stratford upon Avon.